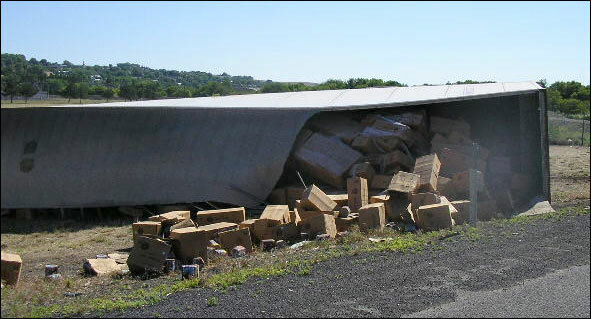 On the morning of June 24, 2008, a truck loaded with fireworks overturned on I-84 near Pendleton, Oregon. 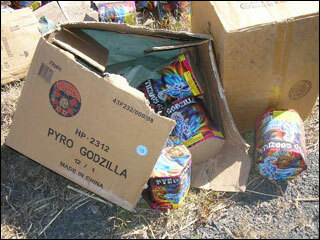 The fireworks spilled on the side of the highway, closing one lane for hours. The truck struck a guardrail on the Umatilla River Bridge for unknown reasons, then drove off the roadway, overturning on the shoulder. The driver received minor injuries, but claims that he doesn’t remember the crash happening.